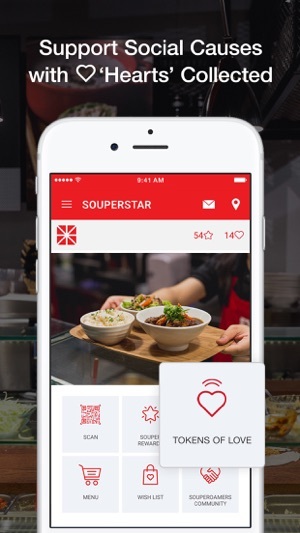 The SOUPERSTAR app makes your meals even heartier than before! 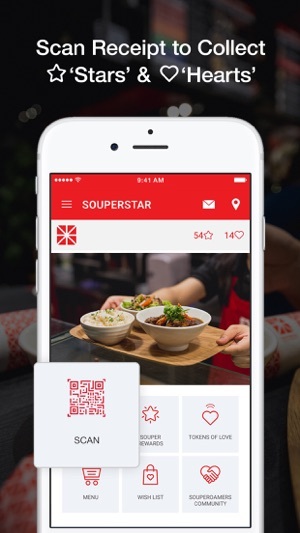 Scan your purchase receipts to collect 'Stars' and redeem Souper Rewards. 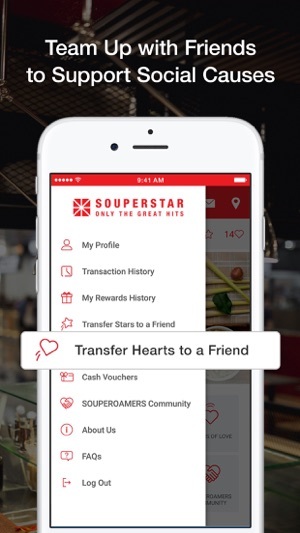 Collect 'Hearts' and support social causes. 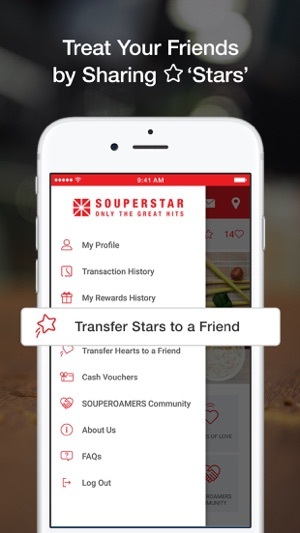 Treat your friends or be treated by sharing ‘Stars’ and Cash Vouchers. You can even team-up with them to support social causes! 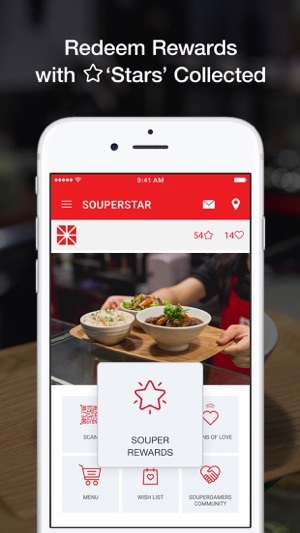 Get the app now to find your way to the nearest store, learn of our latest promotions and more! Could u check if the apps work on iPhone X? It keep crashing when the app is launched. QR function doesn’t work at all. No matter how long, far or near I tried to scan it.